Most businesses whether it is small or big need signs that act like a guide post to guide clients and customers to the business place and to attract the attention of the new customer and to get them interested in whatever you are selling or for the client to not get lost when they are looking for your company at a building or business office park. These signs are also good for people who are driving around and they will be attracted to stop in and try your business. A sign should be neat and bright because it has to attract potential clients and customers for your business. This can help your brand to convey a high standard of your business. There are different signs that are being used for different business ventures. Some people prefer boards because they can put them outside their store or business. Signs do differ and they are used for different reasons. There are signs that are used for awareness and for direction. 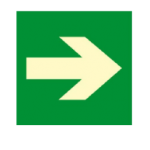 In most buildings, these safety signs are used to show people where to go in case of an emergency or where to go when they want to leave the premises. These signs come in different material some are made of plastic and some are made of steel. Whichever design that you choose it is not an issue because the purpose of these signs is to assist people when they are getting lost in the building. Some of these signs are used for large events in communities or anywhere where an event is taking place. These signs help people to find the location of the event. Although most people use the navigator to get to their destination but the signs are used to make it easier for them to find the place where the event is taking place once they get to the location. KR Landro has signage signs that are quite unique and they are helpful for directions in office buildings.